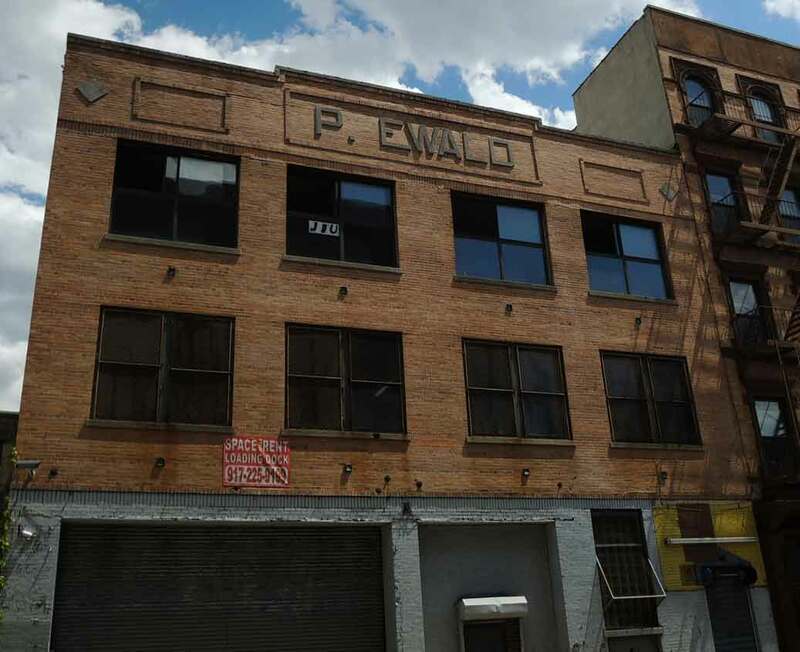 This inscription reading P. Ewald at 700 Elton Ave., the Bronx, is on the rear of a building that fronts on Third Ave. at 2999 Third Avenue. P. Ewald was Peter Ewald (1865-1938). He was born 28 July 1865 in Gundersheim, Rheinland-Pfalz, Germany, and emigrated from Bremen on the SS. Oder 24 Sept. 1880. He is found in several U. S. census reports, the last being the 1930 U. S. Census when he was 64 years old and lived at the Concourse Plaza Hotel, 900 Grand Concourse, the Bronx. His business, which dealt in stove supplies and stove repairs, was located at 2999 3rd Ave. from 1896 to 1937. Peter Ewald also ran a company called the House Drying Company, also located at 2999 3rd Ave., the Bronx. This ad from 1912 claims that the House Drying Company had evolved a process that solved the "problem of drying out buildings under construction." Peter Ewald's son, Clarence G. Ewald (1894-1963), seems to have taken over the company in the 1930s. In 1938 an auction sale was announced as "Auction: at 2999 3d Ave., near 154 St., Bronx / entire assignee stock / contained in 3-story building of / C. G. Ewald Co., Inc., / Stove Supplies ..." (NY Herald Tribune, 20 May 1938, pg. 35).